WordPress is the most popular CMS (content management system). Everybody knows that, and it is not that hard to choose WordPress as your personal blogging platform since there are millions of users worldwide who can vouch for it. If you are still not well-acquainted to the CMS, we invite you to learn more about WordPress. Also, before getting to a point where you install WordPress, you should know the differences between WordPress.org and WordPress.com. Today, we are going to focus on the self-hosted version and show you how to install WordPress on your own. Users who have no technical experience might get intimidated by the installation process. But before you start freaking out, we must tell you that even a complete beginner can install WordPress in just a few minutes. It will take a few steps, but we will guide you through the entire process. Although WordPress is an open source platform which means that you can get it for free, there are a few things you should prepare (and pay for) prior to installing WordPress. To get your site up and running, you will need a web hosting provider and a domain name for the site. There are many hosting companies that specialize in WordPress. For as low as $2.95 per month, you can get space on a server to host the new blog and a domain name of your choice. As there are dozens of options and even more hosting companies, we won’t be able to cover all in this tutorial. Instead, we will have to assume that you have already paid for hosting and that you are ready to begin the installation process. Although most of the hosting companies support WordPress, the official WordPress website recommends Bluehost as the most reliable hosting provider. Bluehost lets you start a WordPress blog for as little as $2.95 per month! With Bluehost, even the lowest-priced option gives you a Free domain, SSL certificate which will make your site more secure, option to install WordPress through a few clicks and 24/7 support. After creating your profile on Bluehost you can log in and start utilizing all the features you opted for. Great thing about Bluehost is that it comes with a One-click installer for WordPress. Instead of messing around with files and databases, you can install WordPress and set up your blog in just a matter of few minutes. And that’s it! You can now go to the WordPress login page and start working on your new WordPress blog. Just like with any other software, WordPress can be installed manually by transferring necessary files and setting up the environment. But, because of its popularity, experienced people have developed a variety of browser applications that can install WordPress for you just through a few user-friendly steps. In this tutorial, we are going to show you how to install WordPress manually and how to do it by using one of the most popular installers. Softaculous is one of the most popular script libraries that allows users to quickly install various commercial and open source software without any technical knowledge. Among more than fifty applications available with the free version, WordPress can be found in the first position. 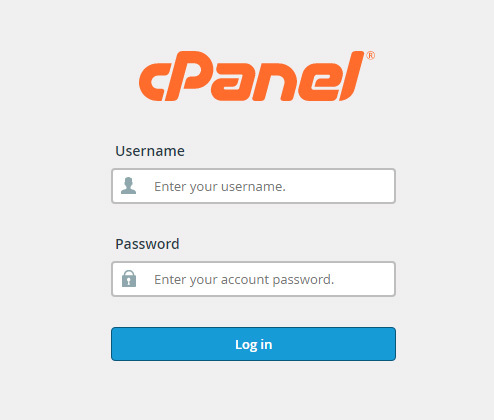 After a successful login, try not to get intimidated by the dimensions of cPanel. This control panel usually contains numberless settings that grant you access to everything server related. Just for now, forget about all other options and focus on the Softaculous installer that will help you install WordPress. To find Softacoulus tab, please scroll all the way down (in most cases, Softaculous will be one of the last tabs in cPanel) and open the WordPress script. If you are interested in the details, you can switch between tabs to see screenshots, demo, ratings and more about the WordPress script on the installer. When ready, click on “Install Now” button or switch to the first “Install” tab. Choose a protocol which will be used for your new site. By default, the setting will show the HTTP protocol. But if you have SSL certificate for your site which would make it more secure, you should choose HTTPS protocol here. You can also decide if you are going to use “www” in front of the address. If you are not sure about all this, ask your provider for details or simply leave HTTP protocol for now as it will be possible to change everything later on. Select the domain on which you want to install WordPress. If this is your first site, you probably have just that one domain that you purchased so keep it selected. But in case you have more than one domain, be careful when deciding where to install WordPress. Pick a directory where you want to install the files. To install WordPress in the root directory, leave this field empty. If this is the only site you are going to have on the server, we suggest leaving this field empty. Choose a name for your site, and give it a short description. Since these are the options that you can quickly change from WordPress settings at any time, don’t bust your head too much on what to write at the moment. If you plan on activating a WordPress Multisite, this is the place to check the box. If you don’t know what a multisite is and this is the first WordPress blog you’re creating, just leave the option unchecked. Quickly create the admin account that will enable you to log into your site and start working on it. We suggest to replace the standard “admin” username for security reasons and choose a unique one that will represent you. Use your name or nickname for example. 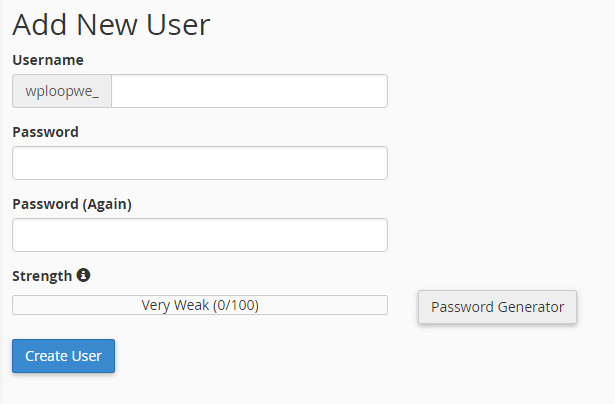 Generate a password for your profile and make sure that no one besides you knows it. If you are not creative at the moment to come up with a strong password, click on the little key icon on the right side. WordPress will then automatically generate a strong password that contains various letters, numbers, and characters in order to create a secure password that’s hard to guess. Before adding your email address in the next field, make sure to remember or write down the username and password as you will need to use them to log into the blog after the installation. Although English is the default language for WordPress, you can change it here. Select any other language available from the list if you want to. The Softaculous installer might offer one or several plugins that can be installed simultaneously with WordPress. We suggest that you skip this option as you can always install plugins manually. But if there’s a plugin that you have previously used on other sites and want to continue using, tick a box next to its name. 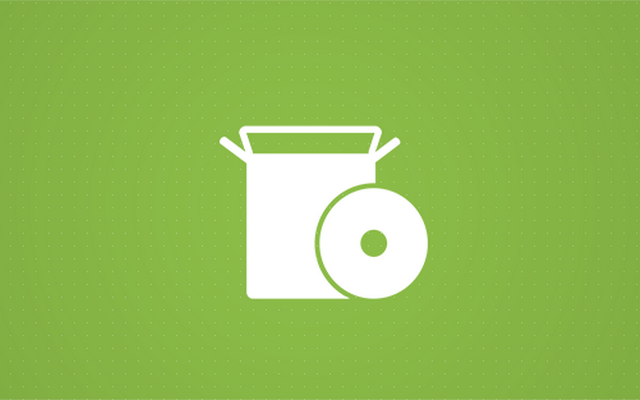 These extra options affect databases that WordPress uses to function properly. By default, Advanced Options will be hidden. If you are a beginner and don’t understand these options, we suggest to skip them altogether. Here you can write a custom database name and prefix. But the ones that Softacoulus generated are more than adequate and safe to use, so there’s no need to change them. If you don’t want to receive notifications about updates, choose the option. The installer allows you to select options to automatically upgrade WordPress, plugins, and themes. While it might sound like a good idea, we strongly suggest keeping these options unchecked. Automatic updates may sometimes cause problems, and you may lose all modifications that you’ve done to specific themes and plugins. You can always turn them back on whenever you decide to. Choose a backup location (we suggest to leave the default one) and select if you want the installer to generate backups of your site automatically. If you have the option, feel free to check it. Once you decide how often you want to create backups, you can relax knowing that you can periodically revert to old settings just in case something bad happens to your site. If you select a number next to backup rotation, Softaculuos will keep track of the number of backups. If the limit is reached, the oldest backup will be automatically deleted to make room for the new one. Choose the number depending on how much space you have on the server. 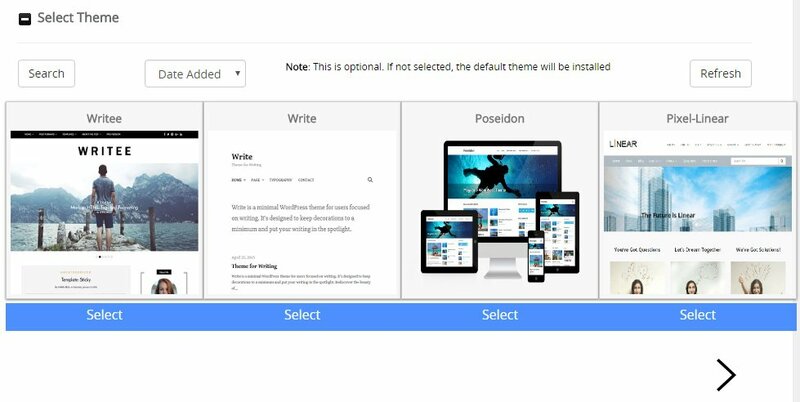 Even before installing WordPress, the application lets you choose a theme that will become active on the new blog. While you can choose one here, this is optional as you can always install new themes via WordPress at any time. Before clicking on the “Install” button, go through all the options one more time and check if every piece of information is right. Then scroll back down, enter your email address if you want to receive the details, and click the button. You are now free to navigate to http://yoursite.com where you should see the new website. To log in to your site with the admin credentials you created, please open http://yoursite.com/wp-admin. 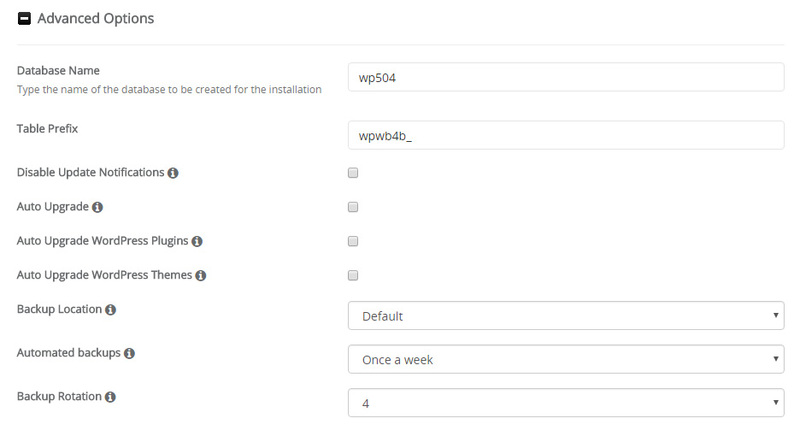 Unlike using installer that does practically everything for you, it is possible to install WordPress on your own. It takes just a few steps to install WordPress manually, but it is just a little bit more complicated than using an installer like Softaculous. Since the process of manual installation can be divided into a few segments, let’s go one step at the time to make everything easier. Ready? This step requires you to connect to the FTP server. Before connecting, you should have FTP credentials from your hosting provider. Usually, you will get all the details in the welcoming email once you register an account with a hosting company. If you can’t find the email, the information should be available in cPanel. If you don’t have an FTP account, you can create one from the same page. This is the last step. You will need to input a few details about the database and your site. Although installing WordPress might seem complicated, the truth is that everyone is capable of starting a blog on their own. Whether you decide to use an installer like Softaculous or to transfer the files manually, you should have the new site up and running in a matter of few minutes. After WordPress is installed, the fun can begin and you can start customizing the website in details. Good Luck!